MONUSCO armored vehicles patroling streets of Goma for civil protection. In 2016, one of the defining terms when it came to the Democratic Republic of Congo’s (DRC) political situation was ‘le glissement’. In 2016, one of the defining terms when it came to the Democratic Republic of Congo’s (DRC) political situation was ‘le glissement’. Meaning ‘slippage’, this word was popularly used to refer to President Joseph Kabila’s efforts to stay in office by repeatedly delaying elections The strategy worked. Kabila’s mandate officially ended in December 2016, yet he is still president and there are still no signs of an upcoming vote.People refer to glissement less often these days, but it still describes the current situation well. 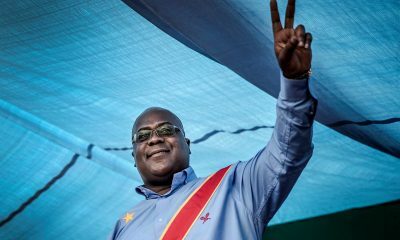 Whether intentionally or not, for example, Kabila’s announcement of a controversial new government this May threatened the Congo’s fragile political stability and created the ideal conditions to continue to push back elections. President Kabila’s new cabinet drew criticism and protests because it signalled very little change from the previous government. He reappointed the majority of its members and placed allies in key ministries such as foreign affairs, interior, justice and mines. The opposition claim that this is in breach of the 31 December 2016 agreement. That pact, made between the ruling coalition and opposition parties, agreed that a transition government would be established and that elections would be held in late-2017 after which Kabila would step down. But since then, the president has taken various actions that the opposition says violates the agreement. His prime ministerial appointment of Bruno Tshibala – a former member of the main opposition party but not the opposition’s choice for the role – angered many. His new transitional government keeps loyalists in place rather than being truly inclusive of the opposition. And Kabila’s interview with Der Spiegel in June raised concerns over his intentions as he made comments such as: ‘I promised nothing at all [but] to organise elections as quickly as possible’. These actions have led to widespread demonstrations. They also strengthen the view that Kabila is intentionally stalling the political process with a view to holding a referendum to remove the constitutional two-term limit. In response to recent developments, opposition figure Martin Fayulu has said, ‘If the accord is dead, Kabila has to leave’. But the reality is that the more Kabila’s actions destabilise the country, the more he can insist that holding elections are unfeasible and thus consolidate his rule. A vicious cycle is occurring in which insecurity contributes to electoral delays, which in turn increase frustrations and further instability. In the DRC’s long history of uncertainty and insecurity, international actors have often become heavily involved in an attempt to mediate or stabilise the situation. Two of the most important in the recent past have been the United Nations (UN) and South Africa. But where are they now? The UN Organisation Stabilisation Mission in the DRC (MONUSCO) has been operating in the Congo for 18 years. With 22,000 staff, including 18,600 uniformed personnel, and a $1.2 billion budget, MONUSCO is the UN’s largest and most costly peacekeeping operation in the world. Nevertheless, given the current insecurity in the DRC, the mission is stretched. 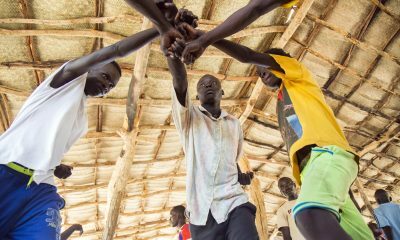 The UN warns that conflict is displacing 4,600 people every day. 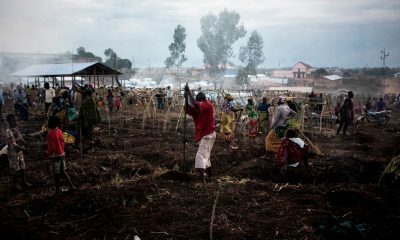 At the end of this March, there were an estimated 3.7 million internally displaced persons in the DRC, a number that has increased significantly over the past months. 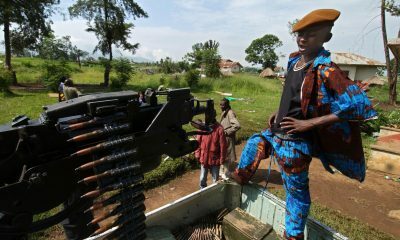 Violence in the eastern Congo continues to simmer. Meanwhile, in the Kasai region, rebels and government forces have been clashing since a local chief was killed nearly a year ago. Since then, violence has increased dramatically. At least 42 mass graves have been discovered in the area up to now, and two UN investigators were found dead this March. Given its historic role as a guardian of stability in the DRC, MONUSCO’s support is crucial to containing insecurity. Amongst other things, this would be necessary so that preparations for elections can take place and the December agreement can be implemented. In May, the government indefinitely postponed voter registration after an electoral official was killed in Kasai. However, despite this rising instability, the UN Security Council voted on 31 March to reduce the troop ceiling by 3,600 military personnel. The body extended MONUSCO’s mandate but also called for the Secretary-General to formulate and put in motion an exit strategy. Of the many regional actors with an interest in the DRC, South Africa perhaps has the most potential to play a stabilising role. The country contributes around 13,000 troops to MONUSCO and has spent at least $1 billion in development assistance in the DRC as part of its South-South Cooperation. In the late 1990s and early 2000s, South Africa hosted scores of stakeholders in the Inter-Congolese Dialogue (also known as the Sun City Talks). During the DRC’s first post-war election in 2006, South Africa provided extensive assistance, spending R666 million ($52 million) on training electoral staff and flying ballots to remote villages. Today, the two countries hold regular bi-national commissions to maintain close cooperation. President Jacob Zuma is also believed to have a close relationship with President Kabila. 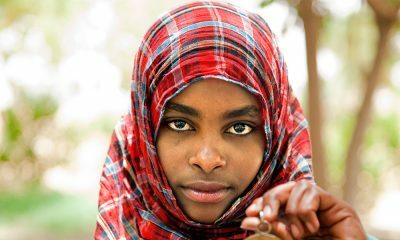 For these reasons, South Africa is often pointed to as a possible catalyst for an inclusive political settlement in the DRC. However, this may be tricky. South Africa’s relationship with the DRC is heavily rooted in principles of South-South Cooperation, which demands non-interference. Meanwhile, South Africa has little clout with the opposition. They believe that Zuma used his relationship with former African Union Commission Chair Nkosazana Dlamini-Zuma to ensure a pro-Kabila mediator was selected for previous national talks. Is there potentially another civil war looming in the DRC unless action is taken? Regrettably, the current glissement only increases instability and creates legitimacy for further election delays. This raises the question of the role the DRC’s longstanding peacebuilding partners such as the UN and South Africa could play. While the UN may not be able to do more than it has in the past, it remains a crucial actor in the DRC, and the presence of their peacebuilders could strongly contribute toward enhancing stability and facilitating elections. The timing of their decision to scale down their presence in the country could be postponed until after the occurrence of an election, rather than (potentially) before hand as they have indicated this year. 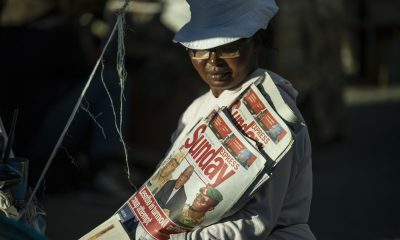 Politically South Africa’s hands may be tied due to the close relationship between the two countries. However, beyond critical statements and calls for peaceful dialogue, it remains well-placed to leverage regional and continental support for facilitating elections. By starting with logistical support (which it has successfully provided in the past) it would thus align with Kabila’s stated will to ensure elections occur ‘as quickly as possible’. While maintaining relations with Kabila and the DRC, South Africa and the UN can take some primary steps to prevent the hard-won precarious peace they helped build from disintegrating.